So, you’re looking at moving and you’re not sure if renting or owning a local Minneapolis - St. Paul MN home is right for you? Well this article will dive into ways you can learn how to know if renting or owning a home is right for you in the Minneapolis - St. Paul area. In the past, the choice to rent or own here in Minneapolis - St. Paul was about whether you’d prefer to live in a house or an apartment. Now, there are opportunities to purchase apartments / condos and rent homes, so there are options for renters or perspective owners to live in whatever type of property that they’d prefer. Homeownership as an investment. While the housing market has rebounded here locally in Minneapolis - St. Paul MN… the home values aren’t increasing like they were during the build up of the housing bubble (which is a great thing actually)… but another benefit of home ownership is homeowners typically enjoy the potential appreciation of the value of their home. Have You Considered Renting To Own A Minneapolis - St. Paul Home? 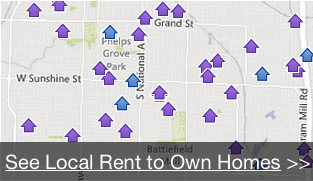 Check out the rent to own process here on this website and if you want to get on our list to see Local Minneapolis - St. Paul MN Rent To Own Homes… head over here to see available rent to own homes here in Minneapolis - St. Paul.